The Burundi government is prepared to take part in a "final" session of crisis talks with the opposition, expected to be held in Uganda next month, the foreign minister announced Saturday despite earlier official word that the dialogue was over. "We are preparing to take part in the fifth round of talks," foreign minister Ezechiel Nibigira said in a video put online by the Iwacu newspaper. "Burundi thinks this will be the final round" of talks, the minister said. His comments come days after the UN Security Council criticised the slow progress in talks between Burundi's government and the opposition despite President Pierre Nkurunziza's decision not to seek re-election in 2020. 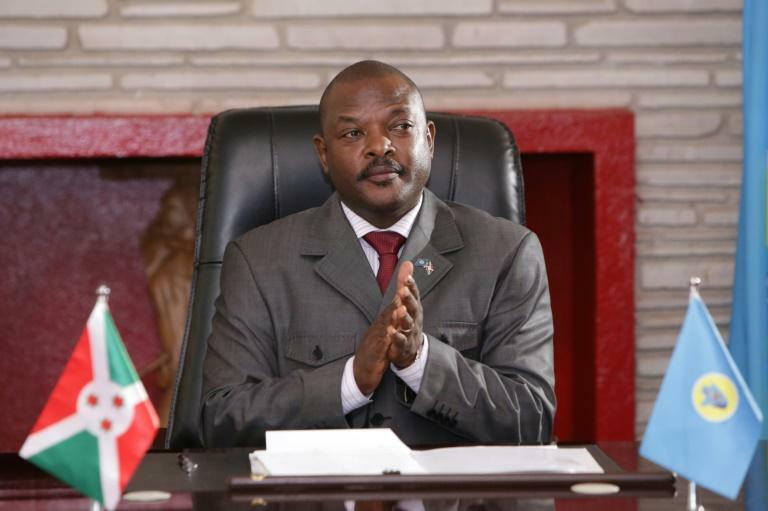 In a unanimous statement, the council welcomed Nkurunziza's announcement, but added that "additional progress will be necessary for credible elections" to be held in two years. Nkurunziza's decision to run for re-election plunged Burundi into violence that left 1,200 people dead and drove 400,000 from to their homes. The International Criminal Court last year opened an investigation for grave crimes committed in Burundi. So far the government has refused to hold talks with some opposition groups that it brands terrorists, despite a mediation set up by regional countries under former Tanzanian president Benjamin Mkapa. According to a diplomatic source, Mkapa wants to organise a fifth and last round of talks, seen as a final chance for a negotiated settlement, in the central Ugandan town of Entebbe in the last week of September. The fourth session of Burundi political dialogue, held in late 2017 without the participation of the opposition in exile, ended without agreement. The UN Security Council statement on Wednesday stressed that elections in Burundi must be "free, fair, transparent, peaceful and fully inclusive, with the participation of all political parties," and ensure the full participation of women. President Nkurunziza has been accused of sliding towards authoritarianism since he came to power in 2005 at the end of Burundi's brutal civil war.